A broad range of events this weekend, lots of Helsby vests out which is great to see so a full weekend report follows. My 1st marathon abroad……….and I have to confess, I really really enjoyed it! The family and I arrived in Palma late Saturday afternoon and after dropping our stuff at the hotel, we headed off to The Cathedral of Santa Maria of Palma (race start) to watch the pre-race entertainment which included an exhilarating firework display set to music – fantastic! Sunday morning soon arrived and after an early breakfast (with no porridge – sad face), and seeing my garmin fall apart (it’s a good thing my wife is a runner), I headed off to the start line to join the other several thousand runners participating. Now in its 10th year, the 9am start was greeted by flying confetti and cheering crowds – we were under way. After a bout of ‘manflu’ earlier in the week and surviving Chester a week earlier (I look very very tired in the pictures and seem to have aged by about 70 years at the finish), Palma Marathon was just about getting around and enjoying the day. It’s a flat course and highlights not just the amazing coastal line but also Palma city itself. The support throughout was excellent and was a pleasant surprise. Temperatures probably reached 27/28 degrees in the final hour and thankfully organisation was superb and water ‘on tap’…..on several occasions, I was very pleased to see a Spanish man with a water hose. The worst bit was having to pass the finish line on one side of the road and run another agonising 200 metres to reach it. The best bit was the free cold beer handed out at the finish (photo attached). 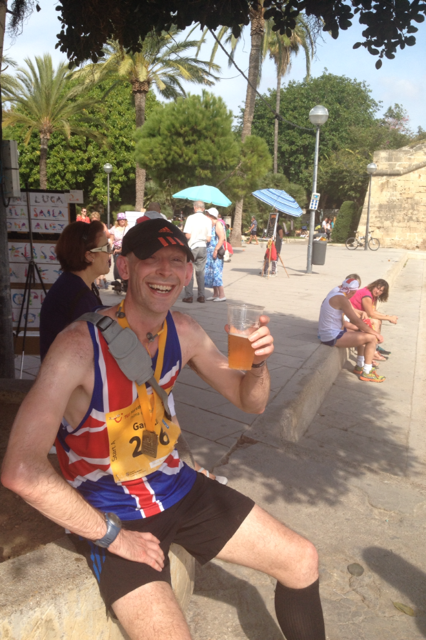 In summary – a hot day but a really enjoyable one – a marathon I’d definitely recommend. My finish time was 3.58.38 – position 606 (male). 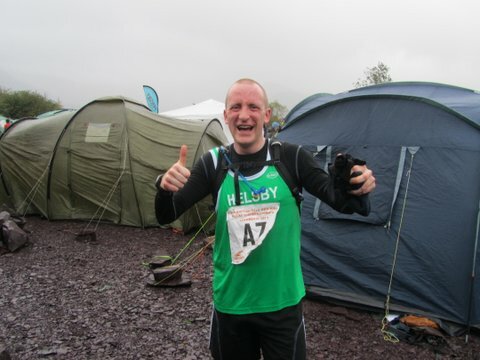 Also this weekend was the Snowdon Marathon with three Helsby runners keen for some hilly punishment. Some great times had by all three. Reports from Lesley and Chris below. There was also the Northwest XC at Clarke Gardens on Sunday morning with a fantastic showing from Helsby which helped to significantly improve our standing in the league positions this year for the men. Although it rained prior to the race, conditions were favourable during the run, apart from the muddy sections obviously (which are generally the fun bit anyway!). This course is roughly 7.7km. Colin Bishop stormed round the course for a Helsby victory as did Jayne Joy for 2nd overall, a few seconds shy of Liverpool Harriers Jenny Clague (a very well known northwest runner by all accounts who used to room with Paula Radcliffe). Helsby positions as follows, unfortunately no times for this series. Please note team results also include Warrington Road Runners & Lymm. Three were also out from Helsby for the Halloween Hellraiser at Nantwich an 8 mile Multi-terrain race…I have no idea if this also had people running in costume! 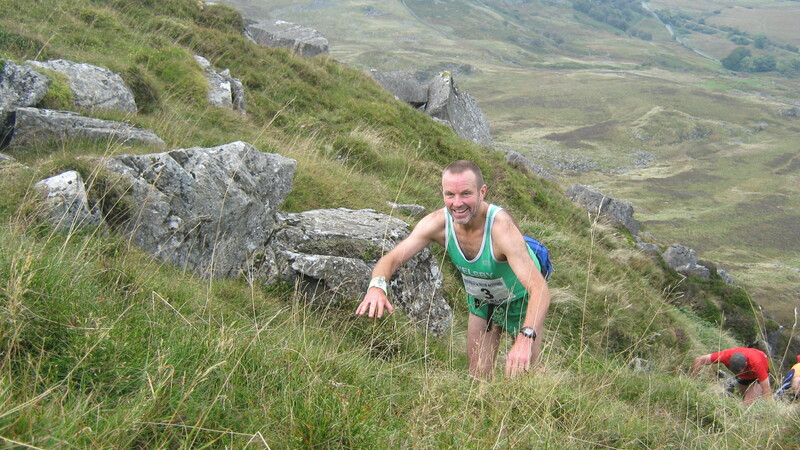 Congleton Harriers also put on the Passing Clouds Fell Race on Sunday near Leek, where in form Jim O’Hara stormed round the course. Hope I’ve not missed anything but as always keep me updated if so as I’ll get this report on the blog shortly. The morning of Saturday 19th October saw the 33rd Delamere Park Run with a great Helsby turnout of 11 runners. Chris Baynham-Hughes obviously taking the British Fell Relays in his stride did his first Parkrun and achieved a podium and a PB just in front of Colin Thompson. First lady home was Carol Shaw. “Just to let you know I ran the Round Rotherham 50 on Saturday. 50 miles in 9:11:07, winner took 6:52:14 & I came in 38th out of 236 finishers. Results here. “A little something to add to this weeks round up! 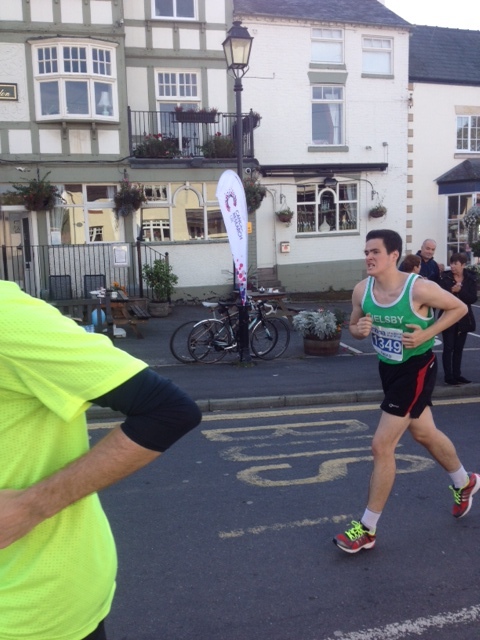 I did a really nice 5 mile race this morning in Lytham…the Green Drive 5. A nice flat fast course starting and ending in the beautiful historic 18th Century tree lined footpath of Green Drive, Lytham. And it certainly lived up to it. 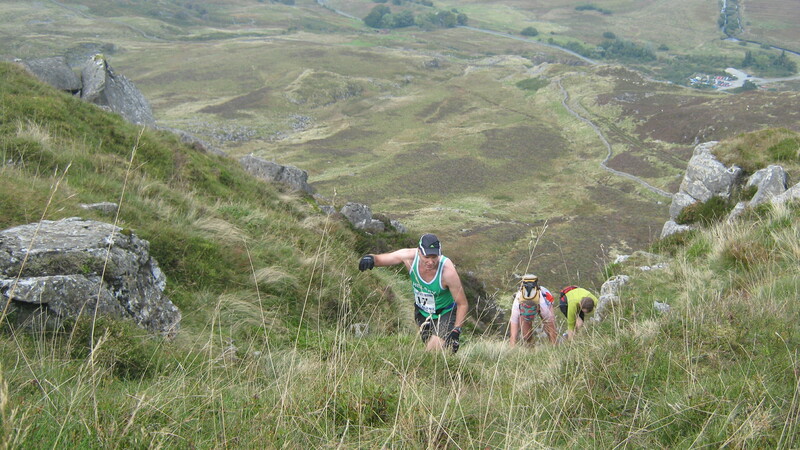 Sunday was also the definitive fell running event of the 2013 calendar, the British Fell Relays. Full details available on the website below with a link to results, splits, photos and a race report from the excellent commentator on the day below. Thanks to Chris Baynham-Hughes who has provided me with a quick rundown of Helsby runners positions as can be seen below. For the men, 54th overall from 99 against some serious opposition is something we should all be proud of, especially after such a great starts from Chris Fitzpatrick and Jenny Illidge in their first fell relay race likewise with the ladies and a fantastic 28th overall helped by some strong running from everyone involved. Many thanks also to Phil Gillard organising the men’s team and entering us and sorting the Gazebo etc and to Joe for organising the ladies team, and for his support on the day alongside Mario and Jenny’s parents and everyone else who gave Helsby runners some big cheers. It was a tricky day weather wise, with winds at some points upto 70mph, and a job for everyone to keep warm. Feedback on the fellrunner.org website shows very positive comments for the day although lots of people thought the navigation leg was a very tough one compared to other years. 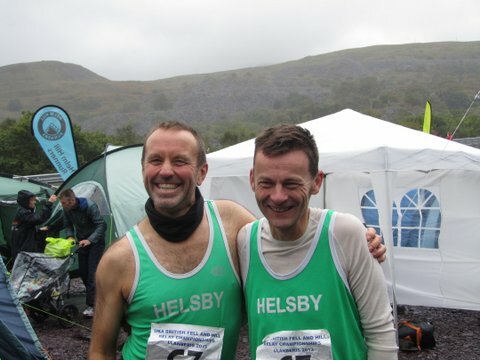 We may even have two men’s teams next year if people show a strong liking for the fells in what should be a great 2014 for Helsby on the hills. Also this weekend was the ‘Beat the Reaper’ race that Roy Gaskill ran in at Croxteth Park. No results as yet but Tom DeJong was out supporting. 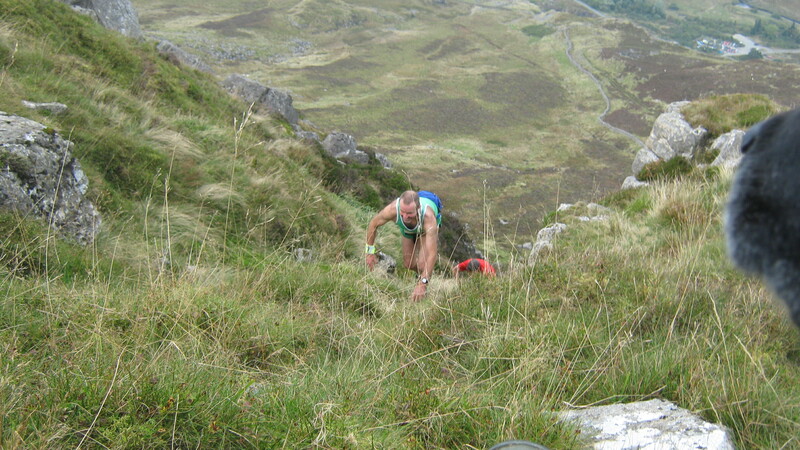 Roy’s time was 40.59 on a multi-terrain 10k coming home in a great 11th position overall. Finally I’d like to report that Winter Training will commence at 6.30pm at Castle Park, Frodsham on this coming Monday 28th October. Everybody and all abilities welcome but please make sure to bring either spikes or trainers with good grip as majority of the running will be on grassy fields. Any other questions just ask. Saturday was the Delamere Park Run 5k event, always popular with Helsby members and this week making no exception. Tom DeJong, with not much recovery time from his four hour Chester Marathon less than a week ago blasted home first for Helsby in a new PB for 15th place overall and 2nd in his age category. Tom was quickly followed by Rachel Adams on her first Delamere outing taking 1st in her category and 16th place overall. Well done also to Andy Robinson having a stretch out before his night on the town and his next day fell run and still managing to secure a PB as did Jo Farwell showing good form. 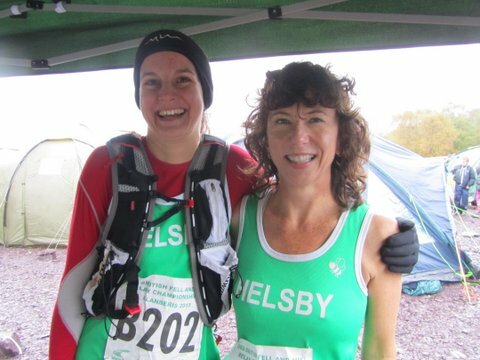 There were eight runners out for Helsby in total. Sunday was our penultimate Fell Counter which was also a Welsh Champs race held at Breidden Hills and organised by Mercia Fell Runners. 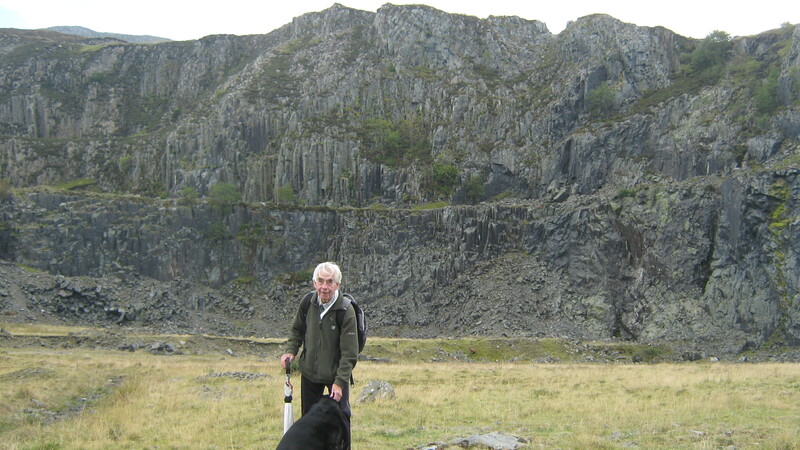 It’s been a good year on the fells for competition within the club and this held true at Breidden with a good battle for first male counter between Chris Baynham-Hughes and Adair, who both happen to be running the pairs leg at the British Fell Relays, so obviously some astute planning by Phil Gillard there! 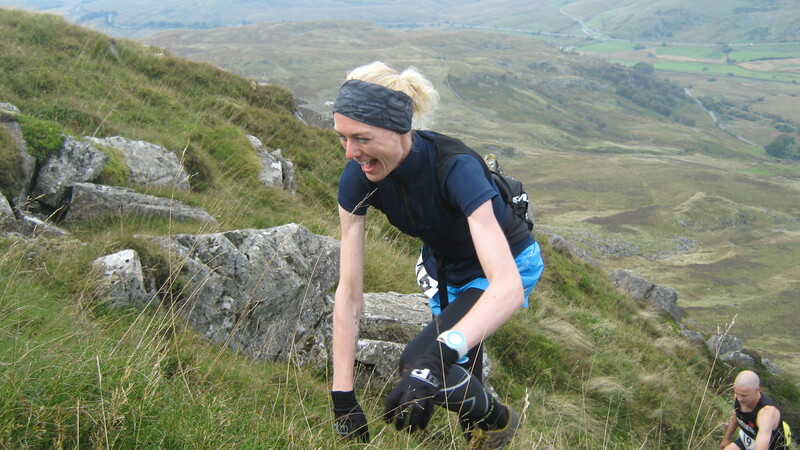 Jayne Joy was 2nd lady overall in a quality field, and getting closer at each race to some of the countries best fell runners. Jayne also picked up a wine up as her prize (some things never change then?). 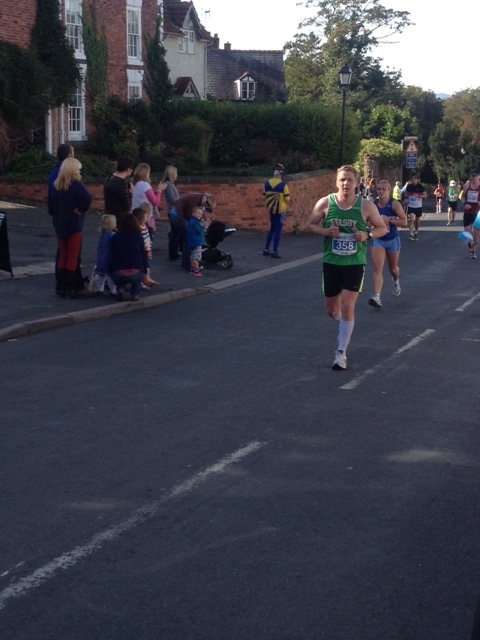 Great to see nearly as many Helsby ladies out as the men too with nine out wearing the green vest. Thanks also to Joe and Mario offering lots of support as usual on the course. Sunday was the Erddig 10k, brief race report from Ben below. Great to see Ben doing such a variety of races! 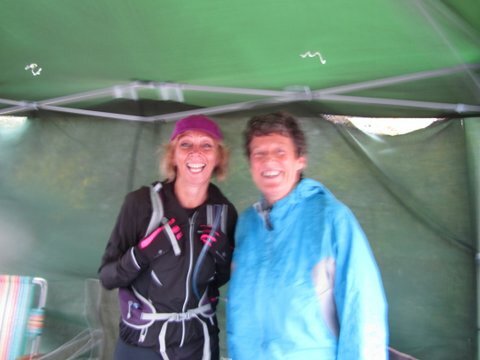 “Just a quick one for the newsletter/blog – I ran the Erddig 10K today. It’s a really nice trail run around the National Trust estate in Wrexham, mainly on woodland paths, starting and finishing in front of Erddig Hall. It was two 5k laps, ending with a steep hill up. No midweek runs now so straight on to the first race of the weekend. Saturday morning was the Delamere Park Run 5k, already race number 31 since it’s inception. Colin Bishop was first Helsby man home and second home overall, showing his blistering form, especially with him taking it easy for Sundays Gin Pit 5 race! Next home for Helsby and 2nd female overall was Carol Shaw. 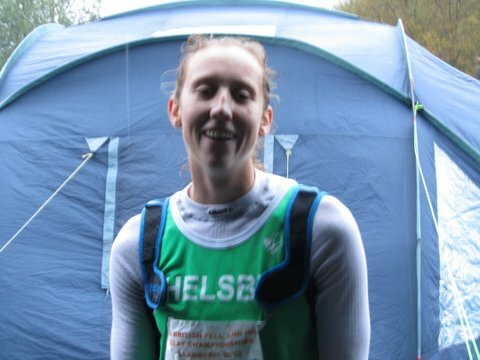 Also on the podium for Helsby was Janet Robertson for 3rd lady overall on the day. There were nine out for Helsby in total and congratulations to Kevin Smallwood for his course PB. It was also the Gin Pit 5 race on Sunday where Colin Bishop doing the double over the weekend had a fantastic run for 9th overall and 1st in his age category. 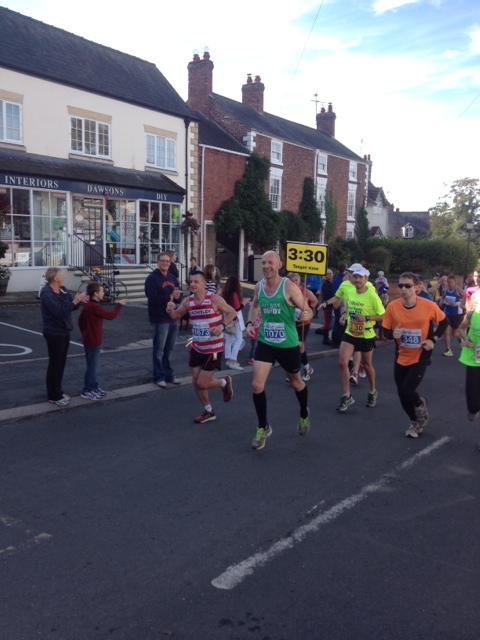 Sunday was the Chester Marathon, and a warm day for running by all accounts. I know Roy Gaskill was very inspired marshalling at mile 14 when the Helsby runners ran past him and thought it was well worth it helping out and he would like to say well done to everyone. (Please let me know if i’ve missed anyone or they want any more information adding on the blog). Photos below are courtesy of Dave Madders. Awesome times from the Helsby contingent as you can see below! “Just to report that I ran the Basingstoke Half Marathon today. Chip time was 01:55;37, (580th position) about a minute slower than my PB but it was very hot and also hillier than I expected (982 ft of climb). My Garmin recorded 13.22 miles, but a lot of the extra would have been zigzagging around to stay in the shade. 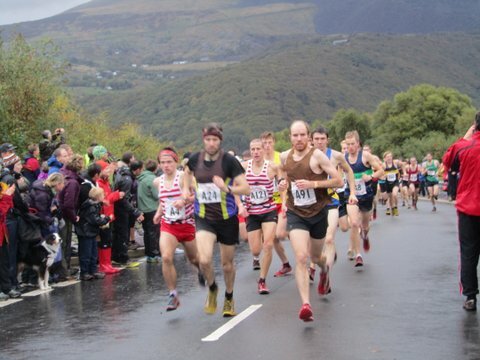 It’s a well organised small race (1323 finishers), through some very scenic countryside, but with several nasty hills. As a bonus, the last three miles is all downhill. 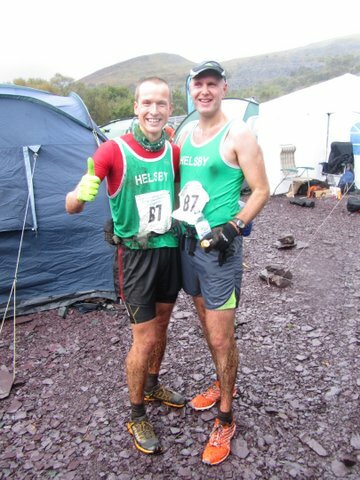 Spectator quote of the day – to me, loudly “Come on Helsby”… then to her mate, quietly “where’s Helsby?” Thanks for the race report Ben, and if anyone else would like to share their thoughts on events they do please let me know as it’s always more interesting reading what others have been upto! Well if summer has faded and autumn is already stirring the leaves, it appears there is no slowing down of events for Helsby members as the seasons change. It’s a good round-up this week with a fantastic variety of events. Special congratulations to Janet Shaw who won her age category over the whole series. Brilliant consistency over the series for Janet rewarded her with a trophy. Thanks to support from Joe and Mario and Geoff Shaw on the night. Delamere Park Run number 30 on Saturday saw Gareth Boyd first man home for Helsby followed by Vanessa Griffiths for first lady Well done to Louise securing the only PB of the day from Helsby. Six out in total. DW Southport 10k was a multi-terrain race on Sunday where Helsby’s Roy Gaskill and Tom DeJong ran. Well done to Roy Gaskill securing a top ten on a tougher course than previous years with some quite tricky conditions with the sand on the beach for part of the race. Looks like some good improvement from Tom also. 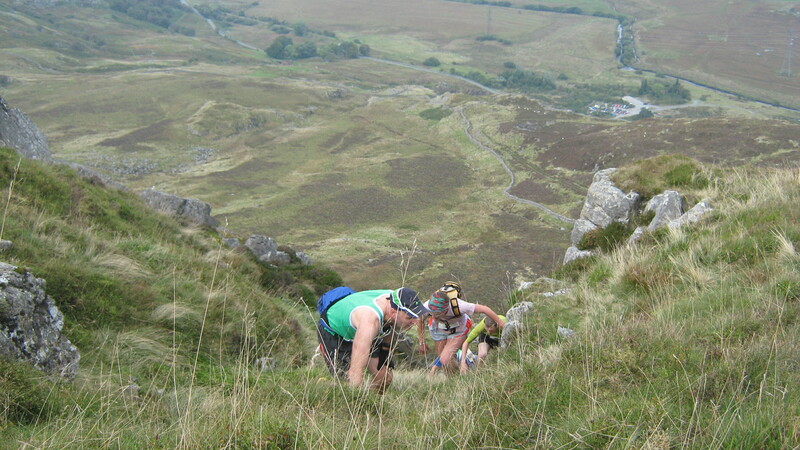 Arenig Fawr Fell Race on Sunday was a very tough 8.1mile and 3281ft race, starting with a quarry climb and then a gulley and then some trod finding boggy tussocky fell running. It’s a beauty of a race but one that needs good competency for the conditions. There is also a lot of opportunity for route choice and optimum lines so there is definitely time to be taken off this race in many places. Thanks to Joe and Mario heading out to support at various stages of the race, and please check out the photos below, some great shots by Mario. 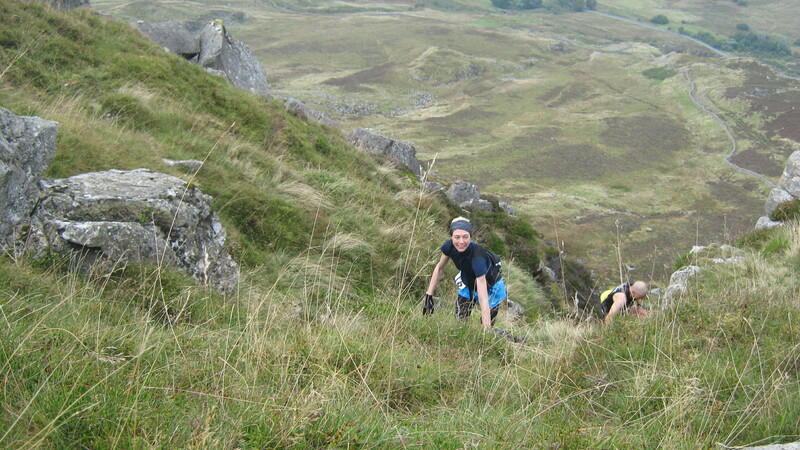 These were taken just where the runners appear out of the quarry gulley heading to checkpoint 1. The smiley faces do not reflect how tough this race felt! There was a prize for nearly everyone who entered plus tea, coffee, soup, bread and cake to go round. This was not only a bargain race but a great achievement too. Kudos goes to Phil Gillard tackling this race so soon after his holiday.